My easel on one of the many paths winding through the garden. – Just Stop and Paint It! 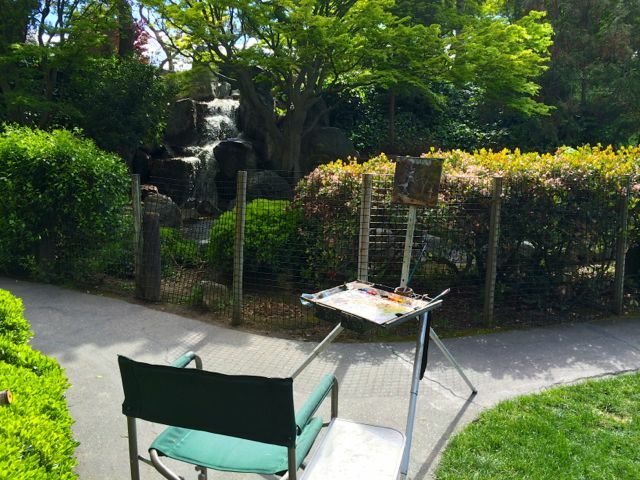 My easel on one of the many paths winding through the garden.